View the entire table of contents for the Nov. 15, 2012 issue. Pritchard Hill is a rugged mass of compacted volcanic rock that forms the eastern ridge of central Napa Valley. Rising to heights of 1,800 feet, with striking iron-red and yellow-tinged soil, this unique locale is the source of some of Napa's most extraordinary Cabernet-based blends. Wine Spectator's James Laube explains. 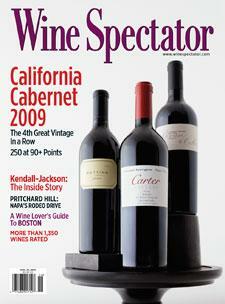 For the full article, check out the new issue of Wine Spectator, on newsstands October 15, 2012.